Having served a two-year ban, Chennai Super Kings are all set to make a comeback into the Indian Premier League (IPL). One of the top two teams in the IPL in terms of results, Chennai Super Kings is also one of the topmost teams in terms of fan following. The franchise from down South enjoys a fervent fan following, a base which has supported their heroes in both good and bad times. After being runners-up and semi-finalists in 2008 and 2009 respectively, Chennai Super Kings eventually won the IPL title in 2010. Having repeated the feat in the following year, they have thrice entered the final since then, but failed to cross the victory line on all occasion. If there is a team which has been most consistent in terms of making it to the play-offs since the inception of the IPL, it has to be Super Kings. 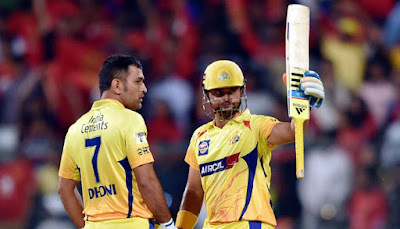 Dhoni and Raina will hold they key for CSK. What the Super Kings did the best before the auction was to not let go Mahendra Singh Dhoni, Suresh Raina and Ravindra Jadeja in the IPL auction. For a team making its comeback, it was important to retain its core in the form of players who have served the franchise for a considerable time in the past. Amongst the eight franchises, CSK ended up being the most economical in the IPL auction. Having spent INR 73.5 crore, they have saved INR 6.5 crore in their wallet, the most by any team. They bought a total of 25 players in the auction, out of which New Zealand's Mitchell Santner has been ruled out of the tournament due to an injury. In Murali Vijay, Shane Watson and Suresh Raina, Super Kings have a trio of tried and tested T20 campaigners at the top of the order. Apart from just donning the yellow jersey in the past, Vijay has also come good for the franchise in the most critical situations. In Watson, they have a 258-match veteran who has played the format in almost all parts of the world. Suresh Raina and Ambati Rayudu can provide the Super Kings with the middle-over burst. In one way or the other, both the players would be looking at this IPL as a platform which would push their case for a permanent spot in the national team. Depending on the situation and the opposition, MS Dhoni, Kedar Jadhav, Ravindra Jadeja and Dwayne Bravo can swap places to finish the innings on a high note for the Super Kings. Apart from contributing with the bat, the triad of Jadhav, Jadeja and Bravo are also expected to fare well with the ball for the Super Kings. Picking up quality all-rounders is where Super Kings have done exceptionally well in the auction. Mark Wood can be the X-factor in the Super Kings' bowling attack. Shardul Thakur would want to carry his India experience into the IPL. 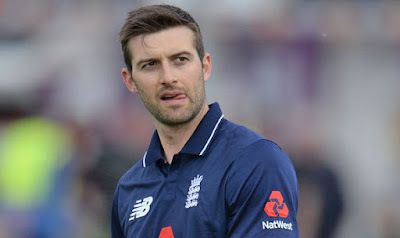 Mark Wood is likely to be the X-factor for CSK for he is yet to make his IPL debut. His express pace can surely cause trouble for the opposition batsmen. Imran Tahir is expected to complete both the playing eleven and the overseas quota of four players. Someone of his stature will add a lot of variety to the Super Kings' bowling line-up. The depth in the CSK dressing room will comprise of the South African captain, Faf du Plessis, and England's Sam Billings. Depending on how things move on in the future, both of them have it in them to bat anywhere in the playing eleven. Amongst the other batting reserves will be Dhruv Shorey, Chaitanya Bishnoi, Kshitiz Sharma and wicket-keeper batsman, Narayan Jagadeesan. The leading name amongst the bowling pair of the Super Kings is Harbhajan Singh. The veteran Indian spinner will be joined by Karn Sharma on the bench. In Deepak Chahar, KM Asif, Monu Kumar and Kanishk Seth, Chennai Super Kings have an Indian contingent of domestic fast bowlers. A renowned Indian name in this list would have covered all bases for them. It is within the bounds of possibility that this season will see Lungi Ngidi wearing a yellow jersey to make a debut in the IPL. 07/04/2018 (Saturday) - Mumbai Indians vs Chennai Super Kings. The champions of the inaugural edition of the Indian Premier League (IPL), Rajasthan Royals are all set to make a comeback into the most opulent cricket league in the world after a two-year gap. After an astounding first season, the franchise dropped down to the sixth position in the points table in 2009. The next three years saw them wandering at the seventh, sixth and seventh position in the points table. In 2013, they failed to get past Mumbai Indians in the second qualifier. Royals dropped down to the fifth position in 2014. RCB knocked them out in the eliminator in the following year. Upon their comeback, the franchise would be hoping for a performance which at least takes them through to the knockouts. Since 2008, Rajasthan Royals have been known for their investment in the youth. Despite a two-year gap, they have stuck to their strategy of believing in the youth, something which is apparent from looking at their squad on paper. The much-anticipated IPL auction of this year is just a handful of days away from the real world now. It will be that time of the year when the soi-disant demigods of the game will be up for sale. The celebrated names on the cricket field will be hawked across the eight franchises and depending upon their needs, demands and budget, these franchises will build a team by luxuriating in some money-spinning deals. Delhi Daredevils made it to the Semi-finals in the first two seasons of the Indian Premier League. But since then, their expedition has faced a lot of ups and downs. They did not make it to the qualifying round in 2010 due to a low Net Run Rate. They went through a sudden sink in 2011 when they finished at the bottom of the points table. In 2012, they topped the points table but failed to get past Chennai Super Kings in the play-offs. 2011 struck them again in 2013 and 2014 as they finished at the bottom of the points table. They improved by a position each in 2015 and 2016, remaining at No. 6 in the points table last year as well.